HOLLYWOOD SPY: HOLLYWOOD SPY'S TOP 25 BEST SONGS OF 2016: SONGS FROM ALL AROUND THE WORLD! HOLLYWOOD SPY'S TOP 25 BEST SONGS OF 2016: SONGS FROM ALL AROUND THE WORLD! Before I leave you till Monday so that you can enjoy your New Year's Eve festivities and wild parties, hoping next year will bring us many brilliant new movies and TV series, I shall let you check HOLLYWOOD SPY'S 2016 MUSIC TOP 25, our traditional song list, and you can tell us below what were your favourite hits that you loved last 12 months. Given how crappy music has become our list is largely international, so this is your chance to find some wonderful new songs from around the world! I'm absolutely sure you will agree with me that this was one number one song this year that made you smile and shake your bums! I bet it was the most played song around the world as well! We did not get a lot of quality ballads this year, especially not as emotional and powerful as this one is! I admit that I could not stop singing this one all year around, mellow, loving, gorgeous, tender, strong, with beautiful video, it comes straight from Ireland. This would also be the best movie song of the year, spectacular and deeply moving ballad from The Legend of Tarzan! Another outstanding movie song of 2016, it was the lead song in one of this year's best movies Me Before You! It better get an Oscar nom! Seanzy really was active this year! Dance anthem of the year! Just listen to Nicole's operatic singing! Divine! My number one among oriental dance songs this year! Comes from Romania! Love the song, love the voice, 2016 biggest breakthrough! Another one of my fave oriental songs this year! Sean is definitely the singer of the year! Not only it is an amazing song, coming from Italy, but it also comes from the best epic show this year Medici: Masters of Florence! Don't forget to check out this French cutie's version of Born to Die at YouTube! The best song this year from Empire show! Definitely a duet of the year, glad to see Anastacia back again! One of the most loveable singers ever did not disappoint this year either! One of the best voices of the year, coming from Australia! The green links will lead you to the videos! Unsteady is a great song! and it fits the movie so amazingly! What a multicultural and multinational selection Dezmond, nice!!!! I think Lost on you is my favourite...Happy New Year! many people loved that one! Man, I loved that Sia and Sean Paul song! This is quite a list Dez. Happy 2017! Hope you liked some of the songs from it :) Happy Happy! Glad you think so! Happy Neue Jahre, Flora! That's quite the selection. Happy New Year, Dezzie! This was super, DEZ! It started my musical 2017 off just right. Thanks. Have a great year tapping your foot in time to the tunes and sharing those fabulous new films. P.S. Why does Wendy say her eye's not even there? It's there'it's there. It's always been there. that is why Dezzy is here to widen your horizons! Bottom (no, not that bottom) row, smack in the middle. Hello! I do like Unsteady, but would like it even more without that God Awful crackling/static noise in the song. Someone even called the radio station and told them they must have got a bad copy because it sounded like crap on the radio lol. Cheap Thrills was definitely my favorite of the year. We do that one in my hip hop class and it really does get your bum moving! Sia had a few good ones this year. 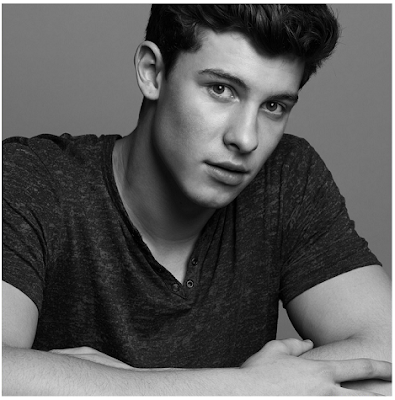 Shawn Mendez had a hot year. Fingers crossed for more good tunes from him in 2017. They do sometimes ruin songs with effects or back vocals, like Lady Gaga's new song Joane, the back vocals are so irritating that I always want to yell at the screaming wench. This is such a great post. I am enjoying listening and discovering tunes I have missed here where we are. Happy New Year to you Dezzy!